I worked at the Spy Museum in the mid-2000s, in an era of hot news stories about espionage. Bob Hanssen was convicted for selling secrets to the USSR. Valerie Plame’s cover was blown. There were weekly revelations about national and international security. Every time one of these stories hit, a reporter would call the museum. Our director would give some sound bites, maybe share some relevant artifacts, and we’d have our 15 seconds of fame. And then, nothing—until the next spy-related news broke. This kind of relevance is passive. We waited for someone else to decide we were relevant. We responded to their requests, not the other way around. What does it look like when an institution is actively, aggressively relevant to contemporary issues? In 2015, a group of young classical musicians in New York wanted to take a stand on issues of race and police violence. They had watched hip hop artists write new songs sparked by the killings of black men in Ferguson and State Island. Basketball players replaced their jerseys with t-shirts reading “Hands up, don’t shoot.” The musicians felt called to action. And so clarinetist Eun Lee, trombonist Burt Mason, and conductor James Blackly started The Dream Unfinished, an activist orchestra presenting a concert series intended to “join the chorus of calls for civil rights, social justice and an end to systemic racism.” They assembled a diverse group of musicians and developed performances featuring a mix of classical music (mostly by composers of color) and speeches by leaders connected to the issues of race violence. This wasn’t a bid to co-opt the #BlackLivesMatter movement. The Dream Unfinished artists were making work as part of the movement. Their public performances helped raise funds and awareness for the issues at hand. By bridging diverse stories, musicians, and pieces of music, they helped open doors for people of color and activists to see classical music as relevant to them. They brought art to the table, claiming a space for classical music in community dialogues about race and violence. They were relevant on their community’s terms by sharing the music in their hearts. The Dream Unfinished challenged the hypocrisy they perceived in mainstream classical music institutions which invite urban people of color to buy tickets but ignore their greater community interests. As Eun Lee put it, orchestras “must address the issues that are facing the communities that they serve.” Most American orchestras sit in urban centers, many of which were boiling over with racial tensions and activism in the era of #BlackLivesMatter. While many urban orchestras may have “audience development” programs intended to make their concerts appeal to urban people of color, few were willing to dive into the police violence issues rocking many of their hometowns. The institutions wanted to be relevant on their own terms, not on the terms of their chosen community. Perhaps when it is politically expedient or attractive to funders or plays well to their market, those traditional orchestras will wave the flag of civil rights. 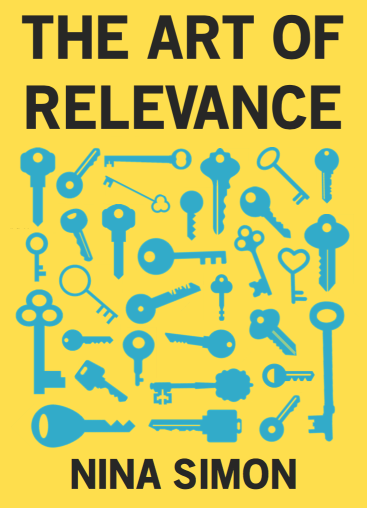 But that’s not what relevance requires. Relevance means waving the flag when it is needed, not when it is convenient.